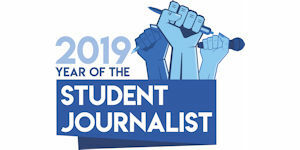 If you plan to upload PDF files for your SEJ awards entries, you must use low-resolution PDF files (20MB max), one or more stories per file. Do not attempt to upload one story in more than one file, i.e., if you upload one story in three separate files, it will appear to the form as three stories. SEJ's electronic entry forms are configured for the exact number of stories allowable in each category. If you have one story that is in separate PDF files, you will need to combine them. Use Adobe Acrobat to link pages to produce a combined document for uploading. Information. You can also reduce the file size at the same time. See below. Both Macs and PCs can insert pages to a PDF using Adobe Acrobat Pro. 3. In the Save-as window, select from the Quartz-filter drop down menu: "Reduce file size"
CAUTION: Save a copy of your file before you do this. We've found in the case of large files that photos are stripped of color. 2. Double-click a drive or folder. 3. Right-click the file or folder you want to compress, and then click Properties. 5. Select the Compress contents to save disk space check box, and then click OK.
6. In the Properties dialog box, click OK.
7. In Confirm Attribute Changes, select the option you want. You can only use NTFS compression for files and folders on drives formatted as NTFS. If the Advanced button does not appear, the file or folder you selected is not on an NTFS drive. If you move or copy a file into a compressed folder, it is compressed automatically. If you move a file from a different NTFS drive into a compressed folder, it is also compressed. However, if you move a file from the same NTFS drive into a compressed folder, the file retains its original state, either compressed or uncompressed. Files and folders that are compressed using NTFS compression cannot be encrypted. The Compressed (zipped) Folders feature is not available on Windows XP 64-Bit Edition. 2. Under the File menu (menu bar, top of window), select "Reduce File Size"
If all else fails, take your document to a copy/print shop to be scanned to a disc. Specify low-resolution PDF. such as Dropbox or MediaFire. These sites are free (unless you want mega-storage) and safely store your documents. 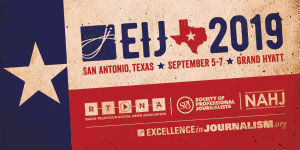 The sites provide a link you can submit in SEJ's entry form. The link will allow judges to download a file. You'll need to provide a link for each file — to protect your privacy, folders are not shared via the share URLs. Easy intructions are provided on each site. Still flummoxed? Email Awards Director Chris Bruggers or call (502) 641-1844. 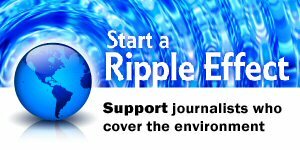 Back to How-to-Enter SEJ's Awards for Reporting on the Environment.